This week we are sitting as we wait for the rain from hurricane Isaac to reach us and wondering how to keep the girls entertained since they can't go outside. A little of this activity time will be filled with a package I got in the mail last week. I opened it to find this. If you don't what it is, it is a Tag pen from LeapFrog. What good is a Tag pen? If you haven't used one before, it allows children to explore books and other materials on their own. A sample of what you can use it with comes inside the package with the pen. That said, the Tag pen wasn't all that was in the package. Boo was super excited when I also pulled out something else. 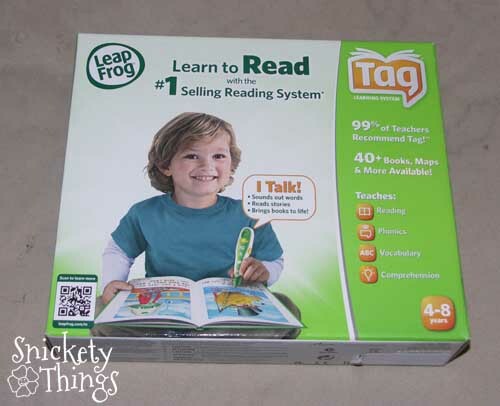 It was the Tag Get Ready for Kindergarten book from LeapFrog. Boo just started kindergarten a few weeks ago and is really having fun. What her class is doing right now is discussing letters and their sounds. She was happy to find a page of alphabet letters she was able to touch with the Tag pen and hear what sounds each letter made. 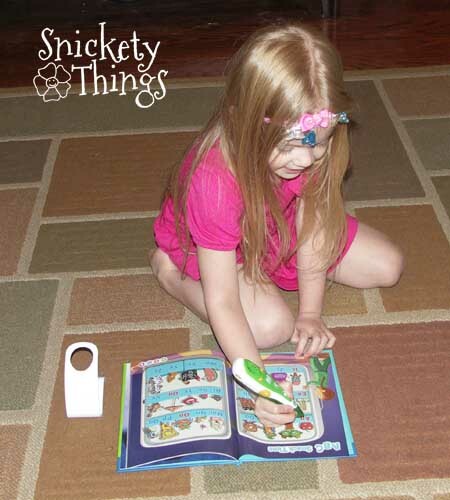 After I quickly showed her how to use the Tag pen and book, she was using it to tap letters and play games in no time. Her favorite page so far is the consonant blend sounds where she can match the letter blends for the start of words with pictures of things that start with that sound. She played with the book for over an hour, sharing it with her sister. This book teaches more than just the alphabet and letter sounds. There is a section teaching patterns, which is one of Boo's favorite things. There is a page of numbers that helps with counting and skip counting. There is even more involving math. I liked the section that told about months, seasons, and even showed them how to use a calendar. And that doesn't even cover everything the book has inside. I was really amazed at how well the one book was able to keep her attention and how much she was picking up from it in such a short amount of time. The Princess even enjoyed playing the games. 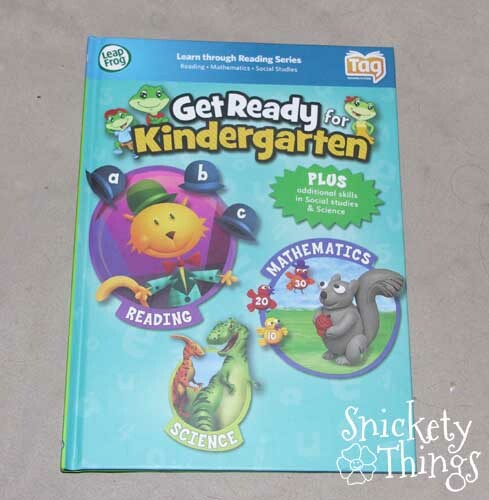 I am very happy with the Tag Get Ready for Kindergarten book and would recommend it for anyone with a child about to start or is in kindergarten. Stay tuned tomorrow. There was more in our package! What are you doing to get your kids ready for kindergarten?